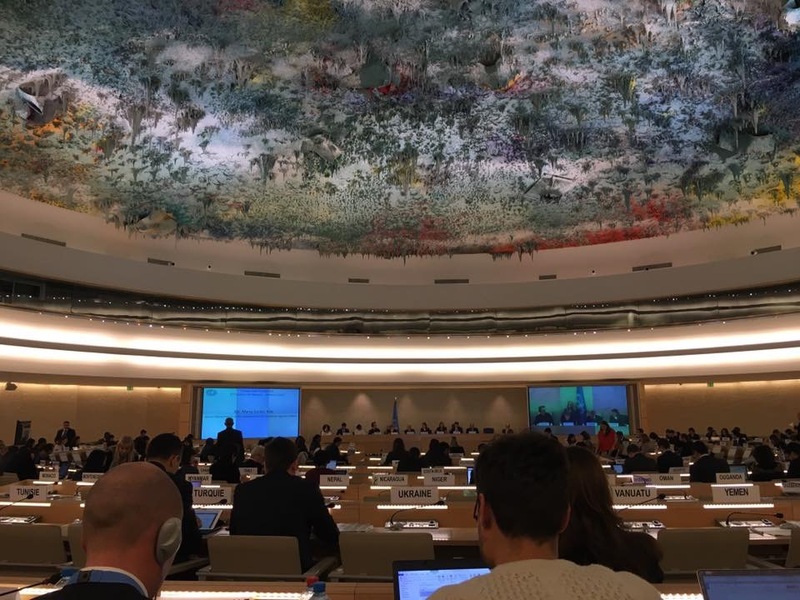 Geneva, 8 March 2016 -SRSG Santos Pais presented her annual report to the Human Rights Council on Tuesday, 8 March 2016. In her presentation, SRSG Santos Pais celebrated progress in the promotion of children’s protection from violence through legislation highlighting that the number of countries across regions with a comprehensive legal ban on violence had more than tripling. “Although it is indeed encouraging to note a steady process of positive change in many parts of the world, the urgency of our cause has not lessened. According to the most recent research on the global prevalence of violence against children, during 2014 over one billion children aged 2 to 17 years were exposed to violence . This daunting figure amounts to more than half of the world’s children!” said SRSG Santos Pais. In her report, SRSG Santos Pais reviews key developments and initiatives she has promoted to accelerate progress in the protection of children from violence building upon the decision by the Assembly to renew the mandate of the Special Representative. Furthermore, the Special Representative commended the “historic achievement” of the inclusion of a clear target to end all forms of violence against children in the new Agenda 2030 and called for the international community to remain united mobilizing and inspiring action in an ever growing alliance and commitment. “We cannot allow our commitment to the protection of children to become diluted in the face of other competing priorities. We must work towards ending violence against children now even as we deal with other pressing emergencies. Urgent action is truly of the essence and children demand no less!” added SRSG Santos Pais. Member Stares welcomed the Special Representative’s initiative "High Time to end violence against children", launched during the Human Rights Council and aiming at mobilizing commitment and action to free children from violence.